It is never fun when an appliance stops working. For many, the natural reaction is to think that the appliance is broken and needs to be replaced completely, when it may only need a small repair. For others, they may spend countless hours trying to fix an appliance that simply does not have any intention to ever work again. It can be very helpful to have a full understanding of when to fix an appliance vs when to buy new. There are times when there is simply not a need to completely replace the appliance, and doing so can lead to spending more money than necessary and parting ways to soon with an appliance you have grown to love. It is helpful to know the life expectancy of each of your appliances. In the event the appliance breaks down well before the average life expectancy, it can more often than not be salvaged and repaired. Most home appliances last between 10-15 years, so any appliance that experiences problems after a few years can often be repaired. 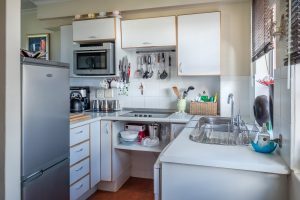 Most appliances come with some sort of warranty, and it can often be repaired free of charge, especially if it is within the average life expectancy. Be sure to check the warranty information and find out if the problem is covered by the policy. The best case scenario happens when the solution is simple. In some instances – such as a broken pipe – the repair can be done without any professional help. In other instances, the repair may be simple for a professional and can be done at an affordable rate that is much cheaper than a complete replacement. In some cases, the appliance may simply not be able to be salvaged. In other instances, repairing the appliance may not be worth the hassle. The following are times to search for a replacement for the broken appliance. It goes without saying that a brand new appliance is much better than a broken one that can be fixed. Therefore, any appliance that can be replaced without financial consequences should be done. In some cases, the warranty may even allow for a complete replacement of the appliance. Anytime the appliance begins to smoke, it should be replaced. Smoke most often indicates something serious is wrong with the appliance. In the event the smoke is not caused by a serious, unfixable issue, the heat likely caused more issues, and repairing it probably requires more trouble than it’s worth. Much like a car, home appliances should be replaced anytime constant repairs have been made to the appliance in the past. The biggest benefit of repairing over replacing is the cost aspect. In the event constant repairs start to cost more than a replacement, you may want to replace the appliance altogether.